It’s February and as a kick off to our Season of Separates we’re tackling pants! We know that many sewers are terrified of tackling trousers because, probably more than any other type of garment, they demand a great fit. Although this can put many sewers off, it may surprise you to know that they are relatively easy to construct once you get your head around the basics of fit for YOUR body. Understanding how crotch depth, crotch length, full thighs, swayback and the like can help perfect your fit is worth the time investment – then you can apply these same changes to every pair of pants you make. Choosing a pattern based on hip measurement means it’s much easier to adapt and refit the waist than it is to start messing around with your pattern at hip level, especially for those of us who are curvy. If you are between sizes pick the smaller size and adjust from there. Note, however, that while almost all books and tutorials agree and suggest starting with a pattern for your hip size, The Vogue Sewing Book disagrees. They advise choosing a size based on waist measurement. I would only advise choosing based on waist measurement if you have fairly standardised measurements where there is not a big difference between your measurements for hip and waist and those of your pattern. Otherwise stick with the tried and tested hip measurement. For Absolute Beginners: You can’t go wrong with a pair of pyjama bottoms as your first foray into the trouser world. These have the simplest construction and if the fit is slightly less than perfect it really isn’t going to make much difference to their wearability. You can also choose an easy fabric to work with, again minimising potential issues – they work wonderfully in a cotton lawn for summer or a brushed bottom flannel for the colder weather. For Beginners: Pick a basic style with an elasticated or drawstring waist, or simple darts with a side or back fastening zip. This keeps the construction simple so you can get to grips with fitting the waist and hips properly without worrying about the additional fit problems created by fly fronts or pockets. It’s really about confidence at this stage and getting a good result with a basic construction before you tackle more complicated designs. For Intermediate Sewists: There are hundreds of patterns out there in this range. You could tackle trousers with a front fly fastening and inset pockets. Or how about a pair of midi culottes? Whether you opt for a low-waisted casual pair or smart tailored design try a pattern with some interesting details. If you are looking for something that works well with your curves, Simplicity have a range of Amazing Fit trouser patterns which are designs that come with a “curvy” fit option. This means they already have more ease and room in the hip, bottom and thigh area. Also worth a look are the McCalls Palmer & Pletsch pants patterns. These patterns have really detailed fitting advice as you sew, and larger seam allowances which mean you can tailor fit as you construct your garment. For Advanced Sewists: Welt pockets and other tailored accents may be what you need to satisfy your skill level. Why not try making a pair of perfectly fitted jeans complete with pocket stays, perfect topstitching and rivets? Specifically Plus Size Patterns: Although most pairs of pants from the Big 4 typically cover a range of misses sizes up to a 20 or 22, they extend this sizing in their plus size ranges and you can find patterns up to a 55″ inch hip and beyond. 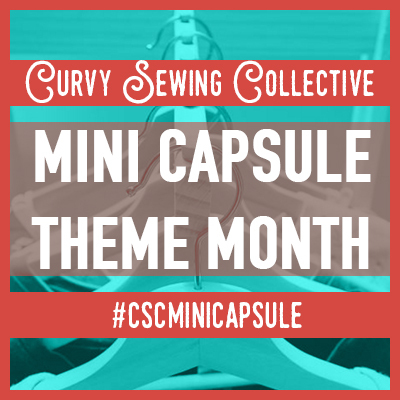 Many indie pattern companies are also increasing their plus size ranges and are worth exploring. Fiona at Diary of a Chain Stitcher has compiled a great list of indie pattern companies here. The team at Colette Patterns have two brilliant articles for sewing pants. The basics of fit when tackling trousers. And the very helpful Fitting Cheat Sheet which highlights major fitting issues and their solutions. (You’ll see a lot of mentions of “frowns” and “smiles” when you are investigating pants fitting. These refer to the shape of the wrinkles encountered from fit issues at the front and back of your trousers. Threads magazine have some great videos that tackle common fit issues with trousers. While the two listed below are available for free, others in the series can be explored on a 3 month free trial if you register as a Threads “Insider”. My favourite book on fitting trousers is Pants for Real People. If you are serious about getting to grips with sewing pants and want to make more of them then this is the most thorough guide to getting a great fit. It covers every aspect of trouser sewing and shows you how to solve a myriad of fitting problems. It also has comprehensive sections on alternative waistband styles, pockets (including the much dreaded welts), and it even covers jeans and jumpsuits. While the photos and styling are a little dated the information covered here is timeless. Another book I hear great things about is the Complete Photo Guide to Perfect Fitting. This covers all kinds of garments rather than just trousers but it is a quick and easy visual reference to common fitting woes. Let’s not forget the awesomeness of Craftsy for some classes on pants sewing. Sandra Betzina’s are some of the best. So there we are. 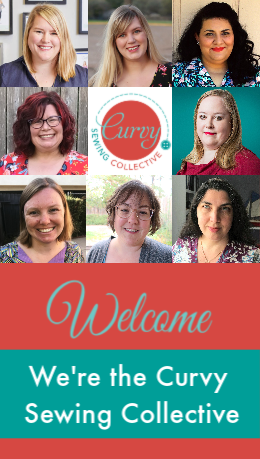 Hopefully lots of help and advice to help you start on your trouser sewing journey. We’ll be posting more hints and tips throughout the month and look forward to seeing all your makes at the end of February. Please note these are all personal recommendations and not affiliate links. This comes at just the right time for me, thank you. I found out yesterday that the trouser making class I signed up for is cancelled 🙁 Time to bight the bullet and do it myself (with a little help from the internet sewing community of course). 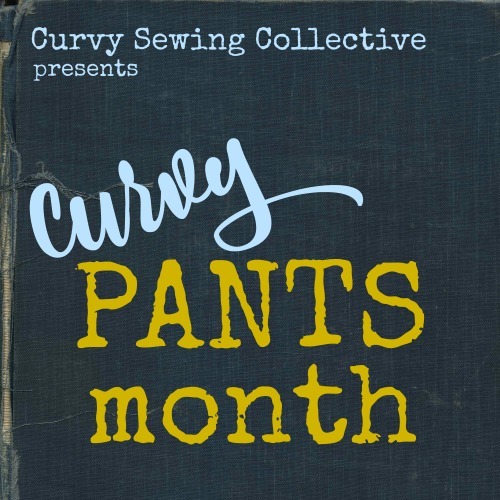 Hello, I have a terrible question about pants I hope the Curvy Sewing Collective will address : what could be the solution to the inner thigh “fabric destruction” ? I have chunky thighs and my trousers always have trouble where my thighs brush against each other. The fabric ages super quickly, and once there is a hole, the pants are over. I wish there were a trick I could use when sewing my trousers to avoid (or reduce) the problem… does anyone know ? Hi, I also have big-rub-together thighs and I find it problematic in loose-weave, thin fabrics. Stretch denim for some reason holds up to the rubbing quite well (twice a week wear has lasted nearly 7 years on a pair of jeans for me). It also depends on the fit for me – hip fitted pants tend to be tight in the wrong spots (also very uncomfortable) so I always look for high-waisted or waisted (just under belly button). This also accommodates my belly and is comfortable. I am new to sewing so sorry I can’t add any practical adjustments that may help, though I believe in visible mending, so don’t necessarily throw out those pants with a hole! See tomofholland.com for more info. You could try fusing an extra piece of fabric in the inner thigh area. Be aware to fuse really well or the edges of the patch will lift and would be quite chafing I think. Another solution is the pants guard used in couture pants. I have rub-together thighs as well and have used both these solutions to good effect. I have a very full, low-hanging belly that makes me look about 5 months pregnant all the time. Is it a done thing to make a size larger in the front than in the back? How would you go about making something to fit a torso that’s 5″ larger in the front than the back? Hi Sara – I know that some people will actually cut a different size in the front and the back, and that can work for some people. You may have to blend the side seams a bit to get everything to match up, but it’s worth trying! Interesting. It seems that link has been removed. It’s a really helpful post, so I’ll link it here in case other readers don’t have it already. This is great, thanks T! I’ve watched most of the “One Pattern Many Pants” class on Craftsy and have found it pretty helpful – like others said, it has the fitting and construction in one place. I’m yet to watch the Sandra Betzina ones, and I have heard rumours that Suzy Furrer might be doing a pants one (I hope so – she’s my favourite). I’d also add that you often need to do a basting fit with EVERY paid of pants you make, unless they’re in the exact same fabric you’ve used before. Slight variations in give and stretch can make a big difference – I recently made a pair which I thought had the same stretch as a previous pair, but ended up needing 5mm (1/4″) seam allowances on outer and inner seam as opposed to 15mm (5/8″). I spend a lot of time on this matter, it’s the biggest and most immediate reason for my sewing. Sarah Veblen is worth listening to in any format. I also cannot say enough good stuff about Kenneth King’s Jeanius! class on Craftsy; it’s an excellent tutorial on cloning a pattern from a piece of clothing without having to take it apart, it’s a great class on making jeans and other pants and fitting them, and it’s Kenneth King for heaven’s sake! Stick it in your wish list or shopping cart on Craftsy (without purchasing) and see the emails from them with discount prices for it! Thank you so much for this post. I am really looking forward to delving into making pants. So far, I’ve only made yoga pants and other knit bottoms. I want to tackle a woven pant pattern that I can polish enough to make a TNT. Another video class you might want to mention is Sarah Veblen’s “Fun with Fitting Pants,” available through Pattern Review. Granted, the video quality is not as high as Craftsy, but I found Sarah ten times easier to follow than Sandra Betzina. Just my 2 cents! I agree about Sarah’s video. She is also a wonderful person to work with. Great, well-written post! I really found the popout tip boxes very helpful, and the post was very well-organized. -Sandra Betzina Craftsy pants fitting class: I had it, watched it, and found it incredibly difficult to understand. In this particular class, her presentation was very unclear, jumped around a lot, and it was very difficult (for me) to visualize what her flat pattern mods were trying to fix. -Veblen’s Photo Guide Fit book is very good. The method she uses to fit (horizontal balance lines) is valuable in general. The pants chapter primarily focuses on crotch seam alterations, with one outseam alteration. It doesn’t cover inseam alterations, which can be what one needs instead of messing with the crotch. In other words, your mileage may vary on how useful you find this book, especially if you buy it solely for the pants chapter. Fit for Art Patterns has a tremendous pants pattern for slacks called the Eureka Pants pattern. I am surprised it was not mentioned in this blog. It it very easy to fit because it was developed using the premise that the difficulty with fitting pants is that individuals have three different back sizes that are not addressed by other pattern companies. Just as it is easier to use a pattern with cup size adjustments, the Eureka Pants Pattern accommodates people’s different sized derrières. The pattern directions on fitting are superb. They inform you how to chose the right size, make a fitting muslin, how to alter the muslin, and then make a pattern to use a a base for your pants. The pattern comes to 2x range, but it is easy to alter the pattern for a large size. Rae Cumins and Sarah Veblen are currently working on developing a pattern for larger sized women. There is also a supplement pattern to vary your slacks to include pockets and other waist bands. The original pattern has directions for a tailored waist band, facing band and elastic waist band. Once you have adjusted your muslin and pattern you have the basis for making a tremendously comfortable, well fitting pair of pants in a couple of hours. Sarah Veblen also a tremendous course on pants fitting, which can be purchased on Pattern Review where she explains fitting standard pants pants and the Eureka pant. Check out the Fit for Art website and blog for tutorials and inspiration. Hi Kathleen, I made the decision not to promote any particular indie pattern company in this article as there are so many indie pants patterns out there If we had covered them all it would have been a novella! Thanks for posting this pattern information for all our Season of Separates pants sewers and good to hear you have had such success with it! I can understand why you may not want to promote a specific indie company, the big 4 companies have only made changes to their pattern’s sizing because sewers out side the box are purchasing patterns from independents. Glaring problem here – incomplete information on available sizing, and inaccurate (and discouraging) information offered on the companies that are listed. Vogue’s Sandra Betzina line and Butterick’s Connie Crawford lines cover hip sizes > 55″; all the big4 offer an XXL size up to 26, and Burda offers sizes equivalent to big4 30 regularly, and even to 34 in some cases. All STyleArc now go to size 30, and Hot Patterns; 26 is for 54″ hips. I’m not immediately up on the smaller indie lines, but many either started with a larger range (SBCC) or have expanded, as Colette has. Please don’t be discouraged – I’d bet some of these are already referenced elsewhere on this site. Perhaps this was just an editing issue, a rough draft section not updated, as this is becoming known as a useful site for information for large size sewing. Thanks for your feedback Karen – I have amended the post. I think it was also unclear a size 24 here in the UK I think equates to a 28 in the US? I have removed any ambiguity. I have also now included a list of all the indie companies so people can explore further. I’ll admit I haven’t read the entire blog in detail but one thing caught my attention. You mentioned plus sized pants patterns but the ones you mentioned only go up to size 24. If I wore a 24 commercial pattern I would feel skinny. I’ve been disappointed in many of the patterns I’ve seen referenced on this site. Those of us larger than a 24 are the ones who really need the help. Hi Jennifer, unfortunately the pants patterns with specific fit advice (like Palmer & Pletsch and Amazing Fit) currently only run to a 24. However, this may well be something to pursue with the pattern companies themselves. We are always interested in reader feedback so perhaps we can do an article on patterns with extended sizing in the future. Perhaps you’d be interested in being a contributor? Just pop us an email, we’d be delighted to hear from you. Her patterns have a good fit for plus sizes. I wear ‘about’ a 4x (30-32), and most of my weight is in my belly/booty/thigh area. When I use her patterns, very few adjustments are needed. (2) Use a pair of old, but well fitting pair of pants, cut them apart, use fabric stiffener (or lots of spray starch) on them, and trace them on pattern paper (be sure to add seam allowance). I did this for knit and woven fabrics. 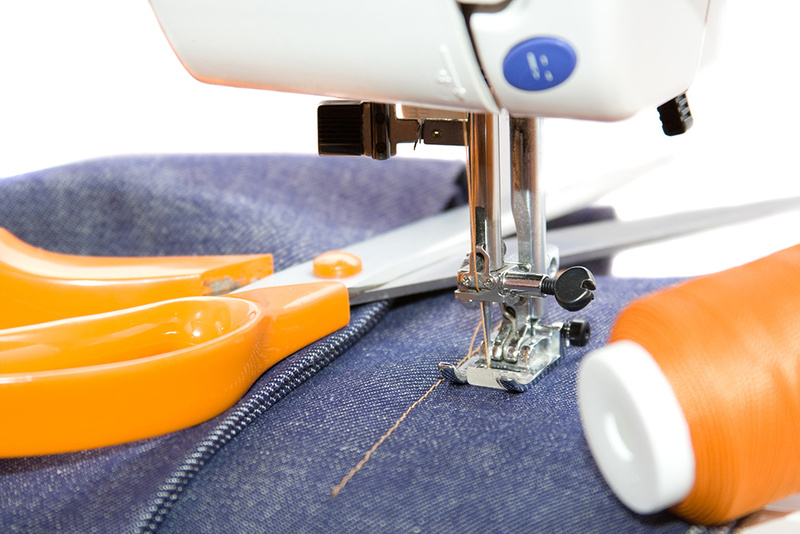 Every plus sized sewist has their own set of fitting issues and sewing skills. I consider myself a beginner sewist and I am sharing what works for me. Jennifer, I have sewn with Louise Cuttings /Cutting Line Designs patterns. The one seam pants do go to a 60″ hip. She claims to have helped women get a good fit beyond that size as well.